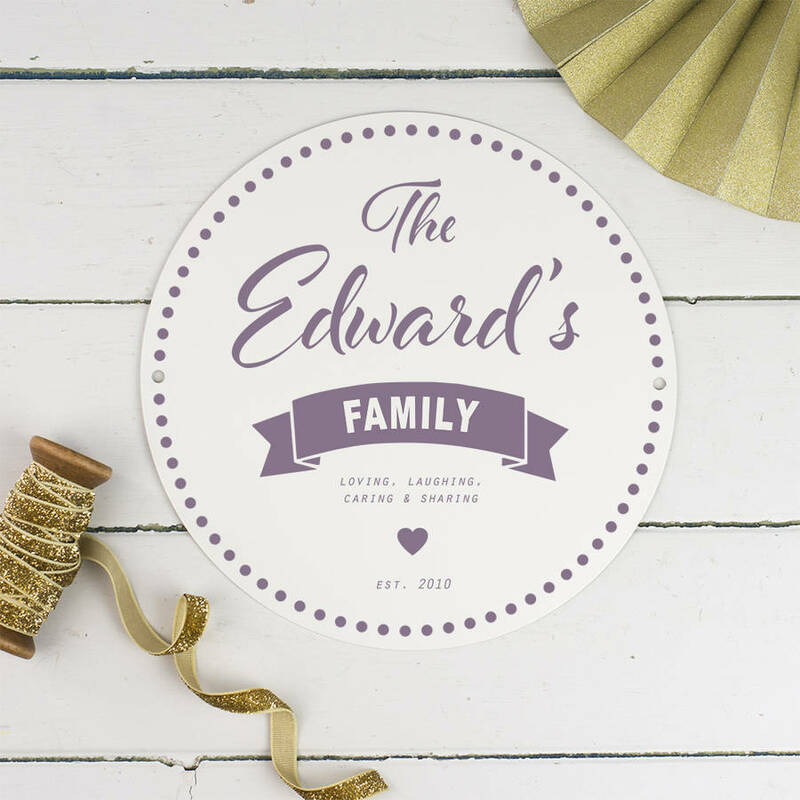 A printed enamel sign, personalised with a nostalgic typographic family brand style featuring your family name. Available in a choice of two sizes. 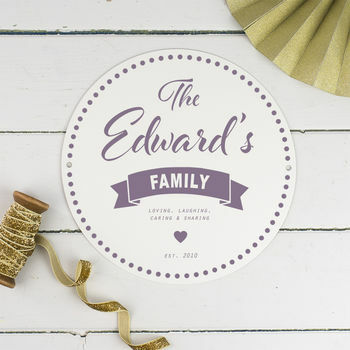 This printed typographic enamel sign makes a lovely addition to your own home or a thoughtful gift for a special family. A unique piece of wall art with a nostalgic feel. Designed and made right here in the UK from enamel and printed with UV inks. Looks delightful fixed to the wall in the heart of the home or in the hallway, next to the family coat hooks. 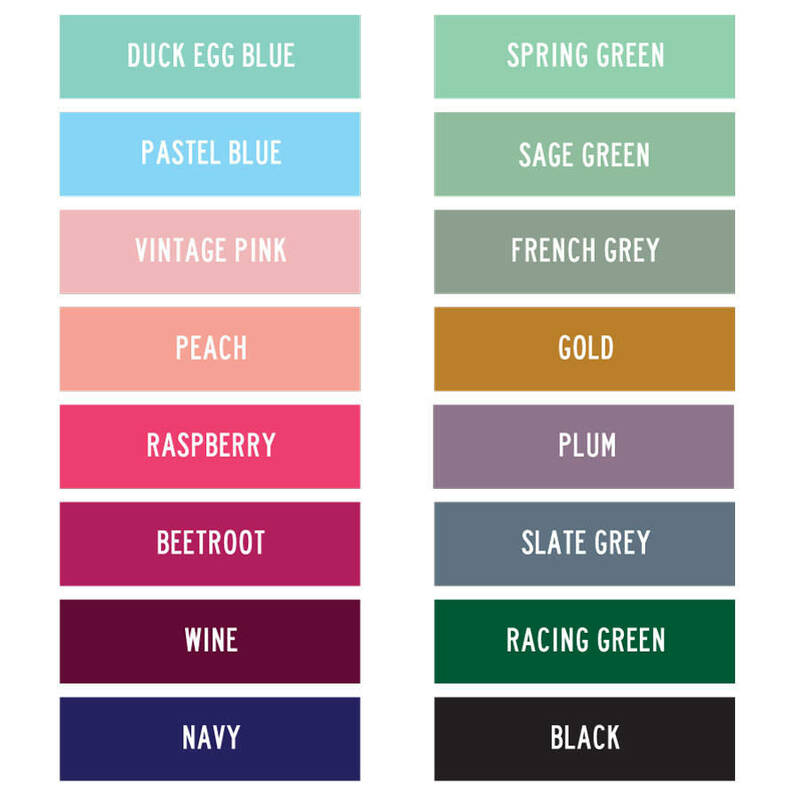 Your personalisation is available in a choice of 16 colours; duck egg blue, spring green, pastel blue, sage green, vintage pink, french grey, peach, gold, raspberry, plum, beetroot, slate grey, wine, racing green, navy or black. The background colour is the neutral off-white colour of the powder coating. 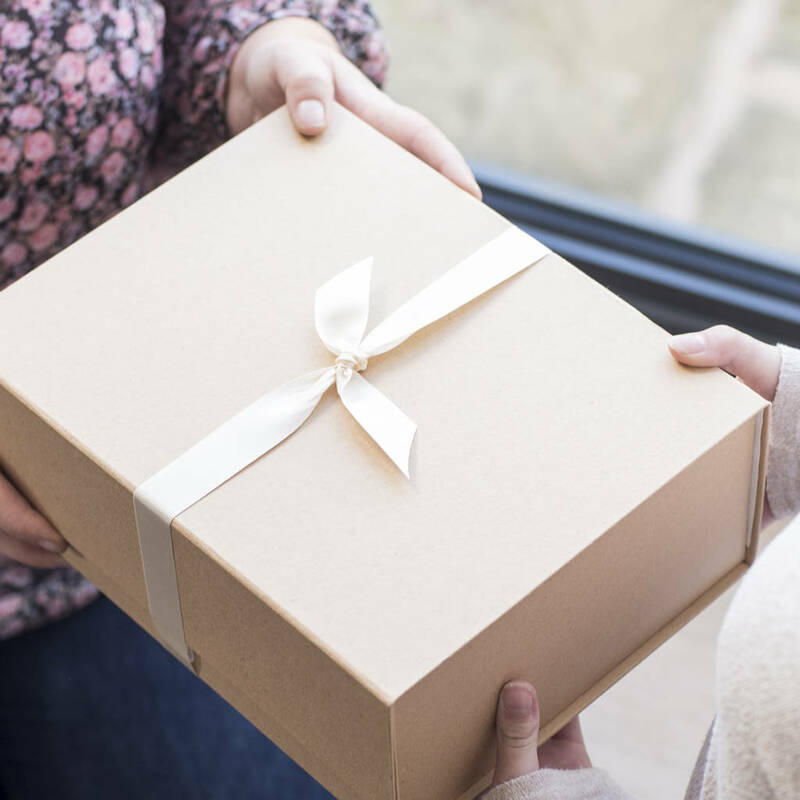 Personalise with the family name, a special message above the heart motif and a date beneath. We make a variety of personalised enamel signs for the home and garden, please see all our products for the full range. Medium: 21cm diameter (about the size of a side plate). Drilled with two holes for fixing. Large: 29cm diameter (about the size of a dinner plate). Drilled with two holes for fixing.